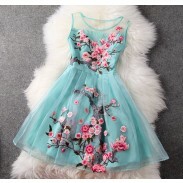 Fashion Organza Puff-Sleeve Lace Embroidery Dress looks very beautiful. 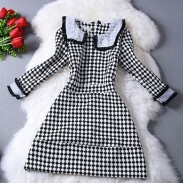 You will become princess after you wear this dress. Do you like this cool lace puff-sleeve embroidery dress?This embroidery dress with puff-sleeves looks very beautiful. The hollow design very cool. This lace puff-sleeve embroidery dress is very suitable for summer wear. Beautiful dress amazing quality cant wait to wear it !